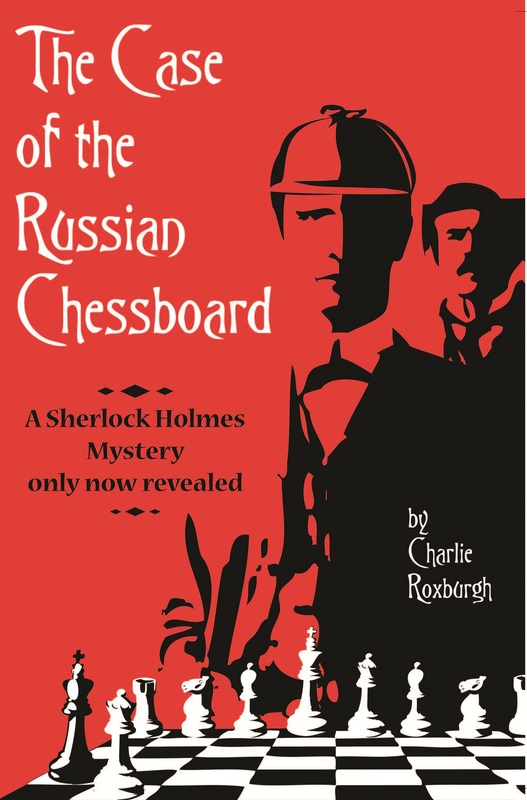 We caught up with Charlie a couple of days before the paperback release of his debut Sherlock Holmes pastiche ‘The Case of The Russian Chessboard’. Originally released on Amazon Kindle, this short novel has had rave reviews for its stark portrayal of a mystery involving Russian exiles. What led you to write a Sherlock Holmes pastiche? I thought I could do better than the ones I’d been reading! I remember reading June Thompson’s ‘Secret Chronicles of Sherlock Holmes’ and ‘Secret Files’ and thinking ‘What makes so many of these well-written stories so unsatisfying, compared to Conan Doyle?’ I did some sort of analysis of the reasons and came up with my own ideas for what makes up a good Sherlock Holmes story – for my tastes anyway. Then I thought I’d try them out in practice. Going further back in motivation, I think I was seeking to recreate the thrill I got from first reading Sherlock Holmes books as a child. I was mesmerised by them. What are your favourites among the original Sherlock Holmes Short Stories? ‘The Red-headed League’, ‘The Speckled Band’ and ‘The Dancing Men’ are some favourites. Philip K Jones has now reviewed The Case of the Russian Chessboard. How do you feel about his comments? Glad that he says how realistic and true to the 1890s is the complicated plot, because I researched hard for that authenticity. But a bit thrown by how he stresses that it’s a ‘dark and unpleasant tale’, almost like a health warning. As if that were not a core part of a truly compelling Holmes story! Tell me, is ‘The Speckled Band’ your idea of a feel-good story? I think that a sense of dread and a serious presence of evil is part of the most compelling Holmes stories. So you agree that the story is dark and unpleasant, like he says? Yes, it’s a ghastly tragedy. But it could have actually happened, as he also states clearly. And, crucially, it is the combination of the two which made it worth writing. For the grimness of this tale is far from gratuitous. In it, Sherlock Holmes probes a dark corner of secret government which became horribly important around the end of the 19th century and, as Philip Jones implies, is as horribly important today. Near the end of my story, Watson feels like silencing Holmes’ anguished musings on the nightmarish system he’s uncovered. If that’s how the story also affected Philip K. Jones, I certainly understand. So generally you endorse Philip Jones’ review? One big disagreement. He says the mystery is ‘easy to penetrate’. But I’ve had a reader tell me that each twist of the plot came as a total surprise. That she felt driven to read it all at one sitting, couldn’t go to bed until she’d finished. That’s the sort of suspense which I was aiming for. I don’t think the plot is easy to foresee. Also, I think Holmes makes astute, daring moves in this story. Philip Jones stressed the historical plausibility of this story. Are you a stickler for historical detail? Not where precise mundane detail is concerned. You don’t need any more mundane detail than Conan Doyle put in – which is not that much at all. But I was very, very concerned to understand the mindset of people like my invented characters. How did a Russian nihilist terrorist think? What led some young British radicals into the Victorian anarchist scene? In fact, into some dialogue I slipped some actual phrases written by real Victorian-age people in those situations. And the background anecdotes about what Holmes calls the ‘Russian Chessboard’ came solidly from revolutionaries’ memoirs and history books. That sort of research is exciting because reality can be so much more surprising than anything you make up. What was the main inspiration for this, your first pastiche? I sought a mystery truly worthy of investigation by Sherlock Holmes. I’d read something about the 1890s Russian subject matter and thought ‘Surely this is the most shocking conspiracy which anyone could ever uncover’. And later the penny dropped that the same thing has been also happening much closer to home. So the book’s starting point was finding an evil which truly deserved exposure by Sherlock Holmes. The Case of The Russian Chessboard is available through all good bookstores including Amazon USA and Amazon UK.